Since the 1920's, Recology has been a pioneer in the resource recovery industry. 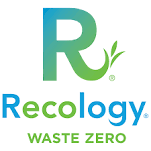 Promoting recycling, composting, and various other waste-decreasing programs, Recology have become a major influencer of industry standards. Consisting of 60 operating companies with 3,000+ employees, Recology has become a leader in collecting and processing solid waste while reclaiming useful materials that would have otherwise been buried in landfills. At the same time, Recology's Sustainability team was also working with GoCanvas to design specific mobile forms to help digitize their quality control procedures. Eric Ahnmark, Recology’s Sustainability Program Manager, worked with GoCanvas to design and deploy quality control centric apps to fit their various needs. These apps enabled Recology to quickly capture data on their smart devices and have it automatically be formatted in professional-looking PDF reports. Additionally, Eric, and his team have taken the steps to begin standardizing apps across their entire business - helping Recology to create company-wide data dashboards that will allow for the tracking of contamination sources and much more! Since deploying GoCanvas just over 4 months ago, Recology has successfully developed and deployed over 30 mobile form processes across their 60+ operating companies. With GoCanvas, Recology is now able to easily organize and manage data across their different operational locations with the assistance of GoCanvas Departments. This feature allows large, multi-location/department organizations like Recology to create sub-sections within their main GoCanvas account that can be managed by specially assigned users. Within these departments, Recology has created App Folders that allows field technicians to easily access the specific mobile forms they need for their job. Today Recology has further solidified their place as an industry leader by increasing their data visibility and improving the way they share data with their customers. In just a few months since deploying GoCanvas, Recology has saved just over $10,000 and have increased their productivity by 19%!